Fothergill's disease is a neuropathic disorder characterized by episodes of intense pain in the face, originating from the trigeminal nerve. 2016 - Study ~ Neuropathic orofacial pain: Cannabinoids as a therapeutic avenue. International Journal of Biochemistry & Cell Biology. 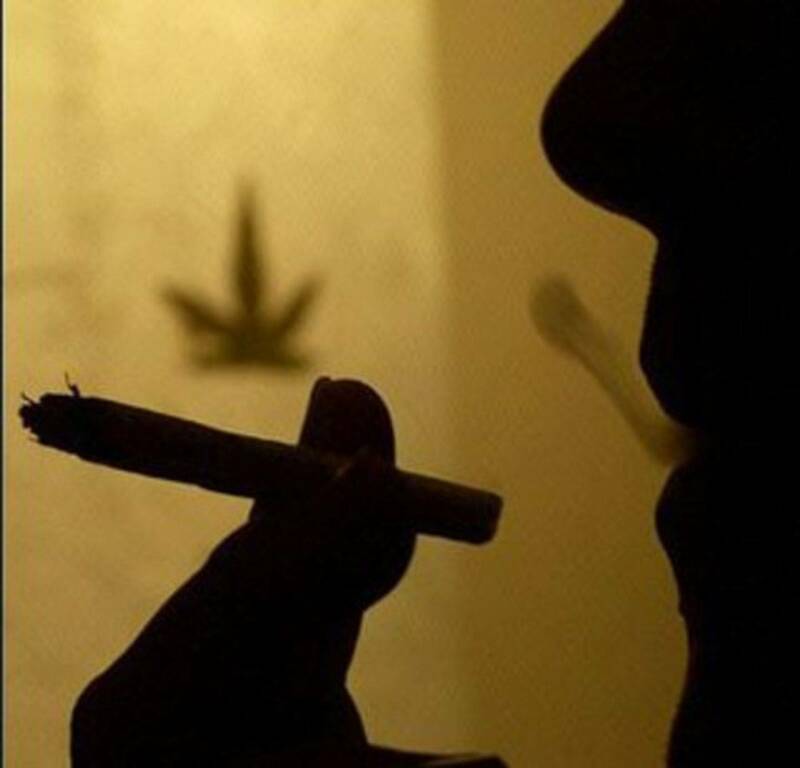 2009 - News - Medical Marijuana and Tic Douloureux. Marijuana Doctors. 2007 - Study ~ The synthetic cannabinoids attenuate allodynia and hyperalgesia in a rat model of trigeminal neuropathic pain. Neuropharmacology. 2004 - Study ~ Anandamide Is Able to Inhibit Trigeminal Neurons Using an in Vivo Model of Trigeminovascular-Mediated Nociception. Journal of Pharmacology and Experimental Therapeutics. 2004 - Study ~Therapeutic potential of cannabinoids in trigeminal neuralgia. Current Drug Targets. Tic Douloureux or trigeminal neuralgia is a nerve disorder that affects the face. It is a stand-alone condition (idiopathic tic douloureux) and can also be a symptom of other conditions, such as multiple sclerosis. The symptoms of tic douloureux originate in the trigeminal nerve. Pressure on that nerve can cause the symptoms as well as damage. People who are older are more likely to develop tic douloureux but there is no age group in which it cannot appear. However, it is easier to find the cause of trigeminal neuralgia in sufferers who are under 40 years of age. There is only one symptom of tic douloureux and that is an electric shock like pain in the face. Any part of the face can be affected, including the eyes. However, it most often affects one side of the face. Tic douloureux can be brought about by audio or physical stimulation. Simple acts such as brushing teeth, shaving, washing the face and kissing can cause pain in tic douloureux sufferers. In some people, it is brief and only occurs occasionally. In others, the pain can be near constant and painful to the point of debilitation. Treatment of tic douloureux can include some medications and surgery. In cases where surgery is necessary to relieve the pressure, medical marijuana can help with pain. However, it cannot render surgery unnecessary. Surgery may also be indicated in tic douloureux pain that is resistant to treatment. Nonetheless, medical marijuana is useful as a treatment for neuralgia such as tic douloureux. It can also have several bonus effects in patients with multiple sclerosis who have tic douloureux and other neurological symptoms. Due to the acceptance of certain medicinal cannabinoids such as Nabilone and Marinol for use against conditions like HIV, AIDS and cancer, there has been a lot of research on nerve pain and medical marijuana, relative to other conditions. That is because these conditions can cause significant nerve pain and trials can be conducted on patients who are receiving the medication for conditions allowed by federal law. As tic douloureux is nerve pain, this research is relevant to trigeminal neuralgia sufferers. In a study conducted on 523 HIV patients with nerve pain and other symptoms, medical cannabis provided marked relief for a number of symptoms. Ninety-percent of the study participants reported that their nerve pain was reduced by the drug. Muscle pain was also improved in most of the study participants. Tic douloureux sufferers often report similar results when using medical marijuana. However, most of the relief is subjective and anecdotal. Until proper clinical trials are conducted and relief is observed in blind studies, it is unlikely that tic douloureux will be considered an acceptable condition for medical marijuana treatment by the United States federal government. The varicella zoster virus, multiple sclerosis, certain tumors and enlarged blood vessels can cause tic douloureux. Medical marijuana can help with tic douloureux caused by anything by treating the pain. However, the research only delves into a few of these conditions. Most of it is conducted on multiple sclerosis and nerve pain in general. Oral mucosal cannibinoids are a medical marijuana that is prescribed in Canada for treatment of multiple sclerosis pain. Like Nabilone and Marinol in the U.S., its acceptance as a treatment for multiple sclerosis nerve pain, including tic douloureux, came about only after numerous trials and studies proved its efficacy on a number of patients. Like virtually all medications, it does not work for every patient. However, it provides significant relief for some, which is good news for individuals with chronic pain caused by tic douloureux. Tic douloureux caused by a tumor may require a number of treatments, some of them invasive. In non-cancerous tumors, removal of the tumor or other surgery to relieve pressure and pain is sometimes indicated. Treatment like chemotherapy may also be necessary to fight the cancer. Medical marijuana can help patients with non-cancerous tumors causing tic douloureux by helping relieve pain. It can help patients with cancerous tumors causing tic douloureux relieve nerve pain and it can help treat the side effects of chemotherapy if it becomes necessary during treatment. 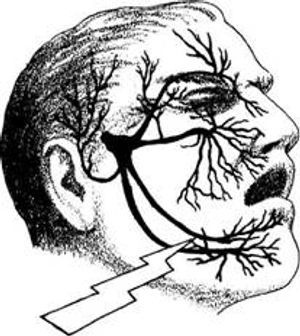 The trigeminal nerve (the fifth cranial nerve, also called the fifth nerve, or simply CNV) is a nerve responsible for sensation in the face and certain motor functions such as biting and chewing. It is the largest of the cranial nerves. Its name ("trigeminal" = tri- or three, and -geminus or twin, or thrice twinned) derives from the fact that each trigeminal nerve, one on each side of the pons, has three major branches: the ophthalmic nerve, the maxillary nerve, and the mandibular nerve. The ophthalmic and maxillary nerves are purely sensory. The mandibular nerve has both cutaneous and motor functions. Sensory information from the face and body is processed by parallel pathways in the central nervous system. The motor division of the trigeminal nerve is derived from the basal plate of the embryonic pons, while the sensory division originates from the cranial neural crest.